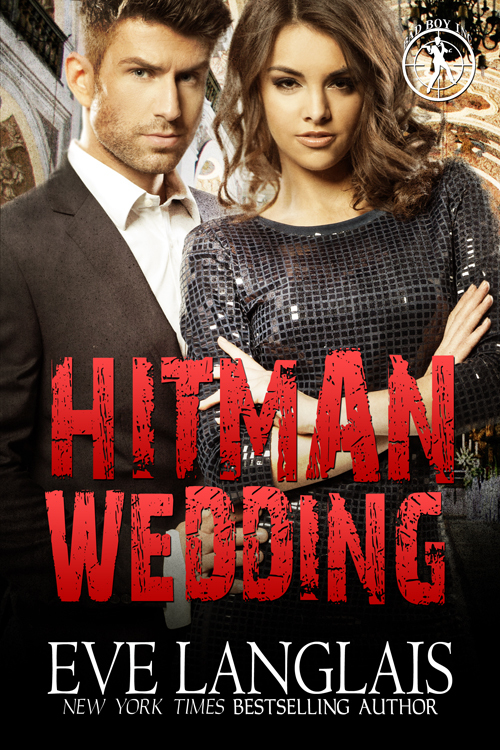 Release Blitz - Hitman Wedding - Kitty's Book Spot! 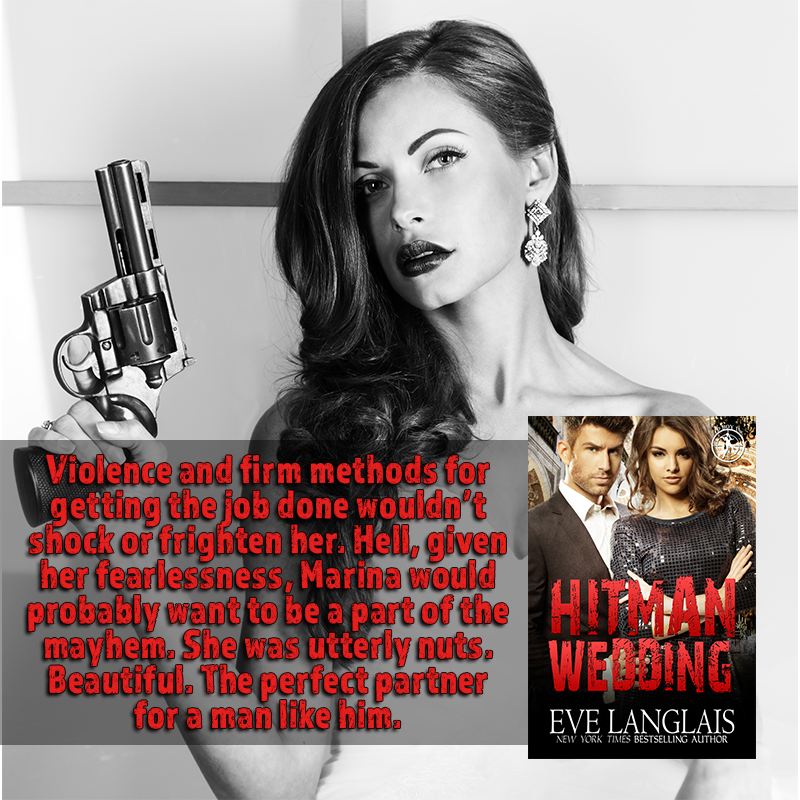 Today we have the release blitz of HITMAN WEDDING by Eve Langlais! Check it out and grab your copy today! Once upon a time, Darren fell for a woman while in the world’s most romantic city. In full view of the Eiffel tower he had his heart torn from his chest and stomped on. Time for revenge. Francesca played Darren for a fool, but he won’t let it happen again. Now that he’s found her, she’s going to pay for her actions. Problem is she’s getting under his skin. Rubbing against his skin. Making him remember those Paris days and hotter nights. 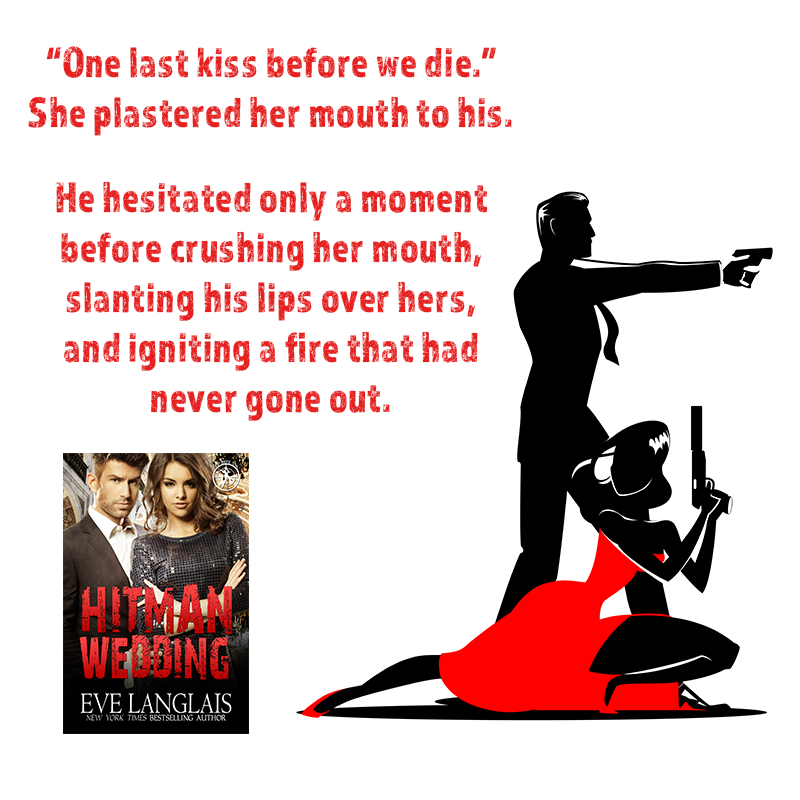 Before he can decide if he’s crazy enough to fall in love with her again, everything explodes after the wedding. She still didn’t flinch. “Are you going to torture me? Is that what you do now? of don’t-fall-for-it-you-idiot. This wasn’t real. 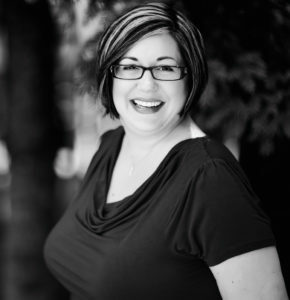 New York Times and USA Today Bestseller Eve Langlais is a Canadian author who loves to write hot romance. She likes to blame her twisted imagination for her sarcastic sense of humor which tends to heavily influence her stories. She loves to write, and while she might not always know what her mind is going to come up with next, she does promise it will be fun, probably humorous and most of all romantic, because she believes in a happily ever after.